Effective tomorrow, Robert Martin is the new executive director of the Independent Bookseller Consortium, the information-sharing cooperative consisting of 27 independent bookstores around the country. 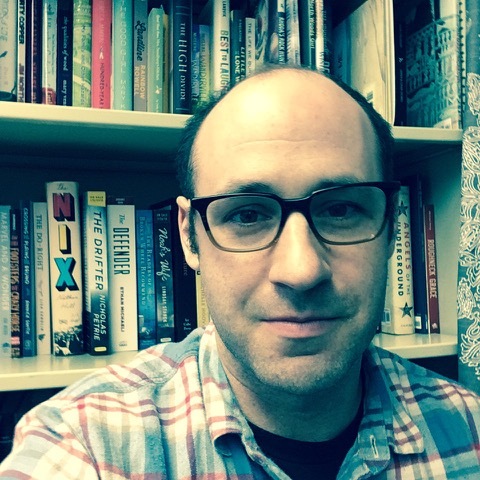 Martin has been director of operations of the Midwest Independent Booksellers Association and founded the Independent Bookseller, which he will continue to operate part-time. He is also former managing editor of Rain Taxi Review of Books. Martin commented: "I'm honored to have worked with so many astounding booksellers during my time at MIBA, and I'm thrilled beyond words to begin working with the members of the IBC. Independent booksellers are crucial pillars to so many communities across our country. I am fortunate to contribute my time and effort toward their continued success." Martin replaces Elizabeth Bogner, who joined IBC last June after longtime executive director Lori Tucker-Sullivan left to become program manager with the Goldman-Sachs 10,000 Small Businesses program in the Office of Economic Development at Wayne State University in Detroit, Mich.